Whisk together yogurt, mayonnaise, vinegar, mustard, pineapple juice, sea salt, celery seeds and blue cheese. .. 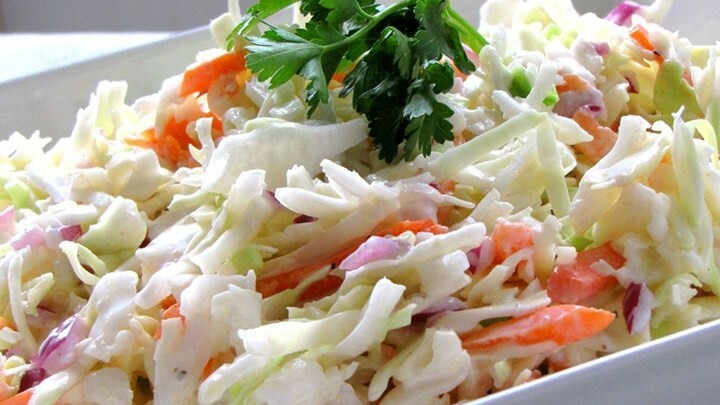 In a large bowl combine cabbage, carrots, and ½ of green onions. Toss with yogurt mixture and sprinkle with remaining green onions, blue cheese, and parsley.